The air conditioning unit in your home is a big part of the HVAC system and needs to be installed by a professional. Wright Mechanical Services has 25 years of experience in installing, repairing, and servicing air conditioning in Louisville, Ky. That experience will give you the piece of mind as a homeowner that your family will be comfortable and your home will be energy efficient. 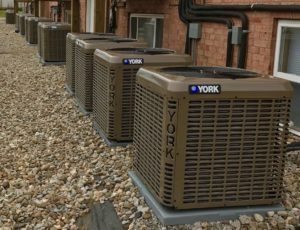 An important factor is that your cooling unit is the correct size for your home. If the unit is too small then it will have to work to hard and not keep the home comfortable. This will also lead to your utility bills being way too high and will shorten the life expectancy of the air conditioning. If the unit is too big then it will not run as designed which will lead to it short cycling. It will be running when it is the least energy efficient which leads to high utility bills. There are a lot factors to take into account when doing a load calculation. You can rest assured you have put your home and your families comfort in the right hands when you call Wright Mechanical Services. Call us for a no obligation and free up front estimate. Wright Mechanical Services services, repairs, and installs all brands of residential and commercial air conditioning units. One of our AC professionals can advise you as to which size and type of unit will be the most energy efficient. This is vital because when you replace your existing unit the energy savings can be substantial if the right unit and the right system is installed the right way. We will also answer any questions about basic maintenance to help you maintain your system. We offer a comprehensive service plan for a reasonable price which can keep your HVAC system working efficiently for years. If you have any questions or you would like to set an appointment for us to address any of your HVAC needs please feel free to give us a call. We offer 24 hour emergency service.